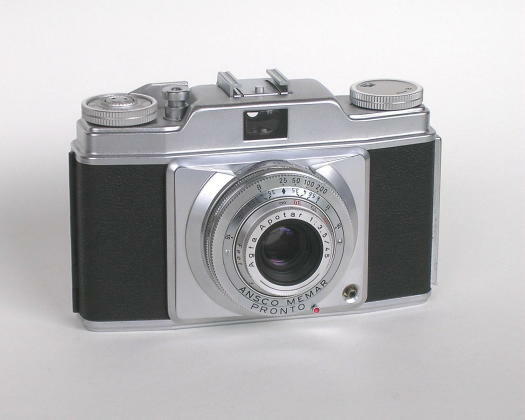 The first one I know of was an Argus A, which I believe was given to him by my mother for Christmas in 1942. By the time I came along, the Argus had taken a back seat to a Voigtlander Vito (you can see the original one around my neck at the top of the "Camera Stuff" page). It took me a few years to find one just like it for my collection, but here it is. 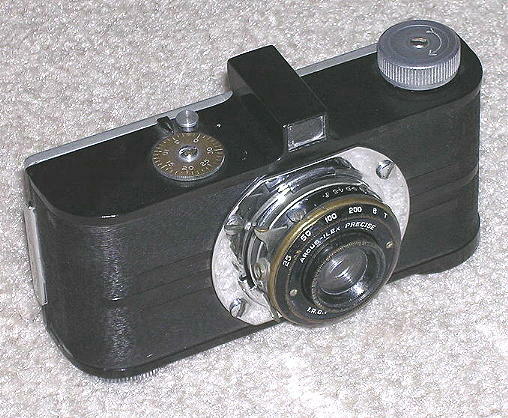 When Grandpa Oleson died in 1958, Dad inherited his Ansco Memar, and that became our official family camera. 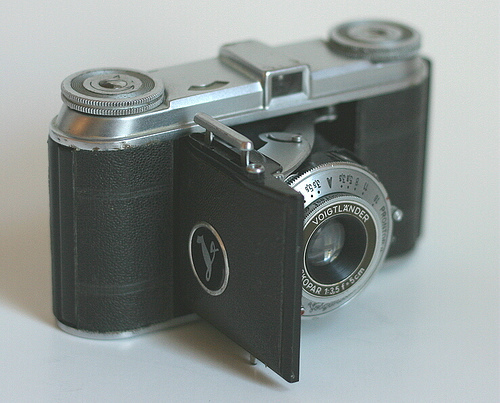 The Vito was really a better camera, though. 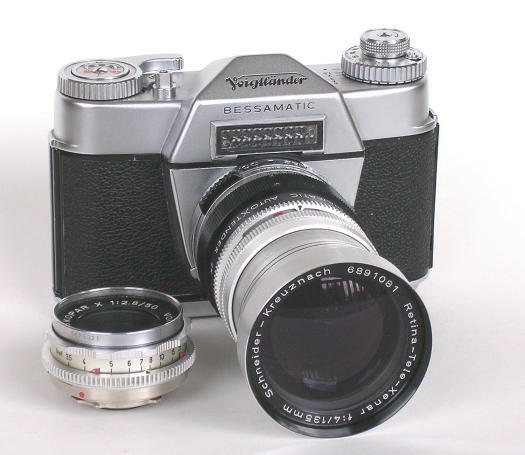 In the early 1960s (I think 1963, but I'm not positive), Dad traded in the Vito on a Voigtlander Bessamatic. 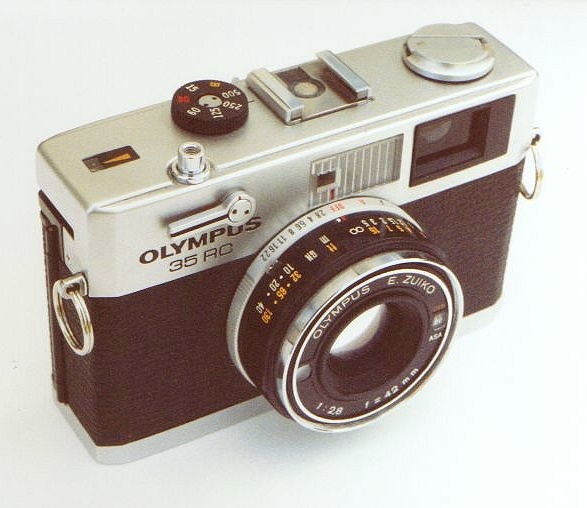 It was Dad's first SLR, and his last German camera. Reliability was terrible, resulting in entire rolls of blank Kodachrome after vacation trips. This one works, but it's otherwise similar to Dad's original. 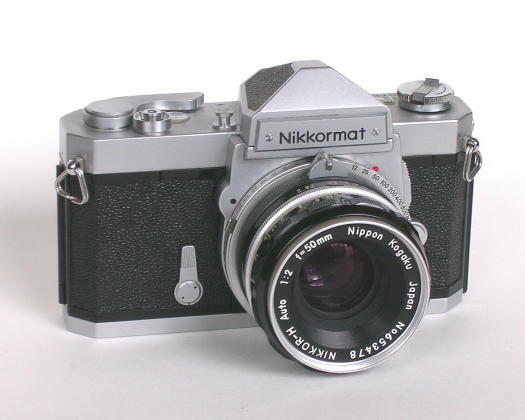 The best thing about the Bessamatic was that it was so bad it pushed Dad to buy his first Japanese camera, and this time he hit a home run: in 1966, they just didn't come any better than this Nikkormat FT, which still works (and looks) just like new.